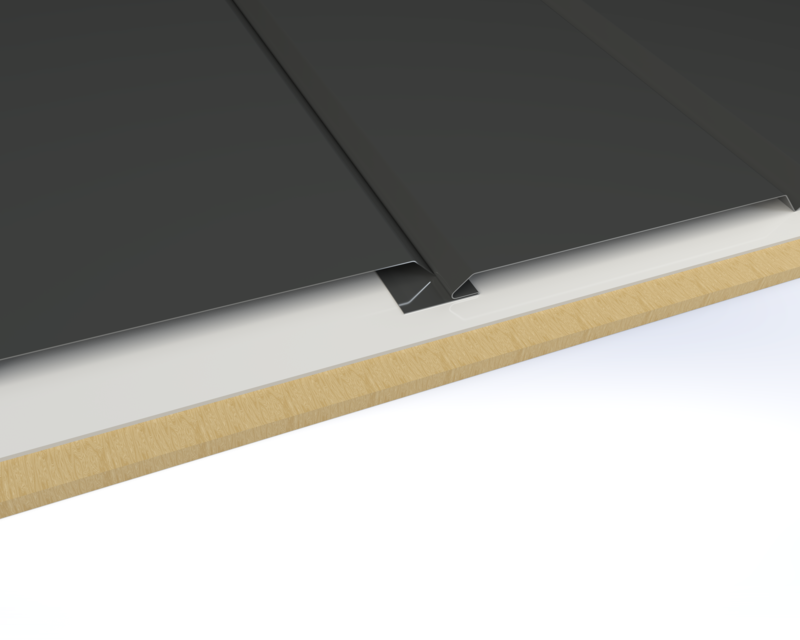 V-Soffit panels are traditionally used to finish out roof eaves for a clean look and can serve as a ventilation system with a vented ridge cap. With the option of vented or unvented, you have control over the amount of airflow that heats and cools your attic. More recently creative designers, builders and architects have utilized the low profile and low maintenance features of soffits for interior design projects like ceilings. With so many colors and prints to choose from, V-Soffit is the perfect steel soffit panel for your next home or interior project. This commerical building uses V Soffit in Vintage. This commerical space uses V Soffit in Vintage. This entryway uses Beige V Soffit. The V Soffit on this home is in Dark Gray. V Soffit on overhang of a barn. This brewery uses V Soffit in Copper Penny. This commerial building uses V Soffit in Colonial Red. Perforations: Available in perforated versions with air flow data available.